Welcome to jury service. Your help is needed to answer important questions of fact. The judge, attorneys, and clients need your fair determination of facts which are in dispute. Our court staff will try to make you comfortable. You may find that the work is difficult, and not as exciting as you would expect. We realize that your daily life is interrupted; we appreciate your coming to assist us. 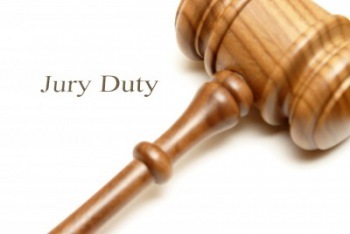 Jury service is an important responsibility. Each juror has a direct hand in making our justice system work. Your effort helps our American system preserve the right to a fair trial, and the guarantee of a jury comprised of fellow citizens. If you have been selected as a prospective juror, you will be asked to report to the Huron County Juvenile Court on the date and time as stated in the letter you received. The court is located at 2 East Main Street, 1st Floor, Room 101, Norwalk, Ohio. Jurors shall be "on call" for a four month period. They do not report every day. The Court hopes that the privilege to serve on a jury will not be considered a burden or sacrifice but will be viewed as a civic duty. If, however, you feel you are unable to serve, please complete the Request To Be Excused form and return it to the Court along with your questionnaire. The Court will review your request, and you will be advised of the Court’s decision regarding your request. The juror is over the age of seventy-five (75) years and would like to be excused. The juror is physically unable to serve, and presents, a certification of such signed by a licensed health care professional. Please call the Clerk’s Office at 419-668-1616 on the date and time as indicated in the letter you received. The Clerk will advise you whether or not it remains necessary for you to appear for jury duty on the scheduled date and time. This is necessary because many cases scheduled for jury trial are settled before trial time.